College is a new experience for our kids that have grown up so fast. There’s so much to learn, homework to accomplish, friendships to make, and what about just figuring out how to live life on their own? That’s a big one! 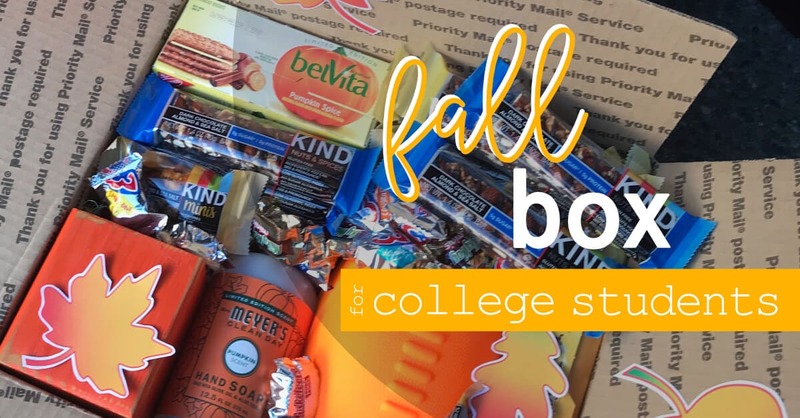 Your college student will certainly appreciate a box from home full of fun and familiar foods, treats, needs, and festive silliness! That’s where you come in! But don’t worry! I’m here to help with Care Package Ideas For College Students! 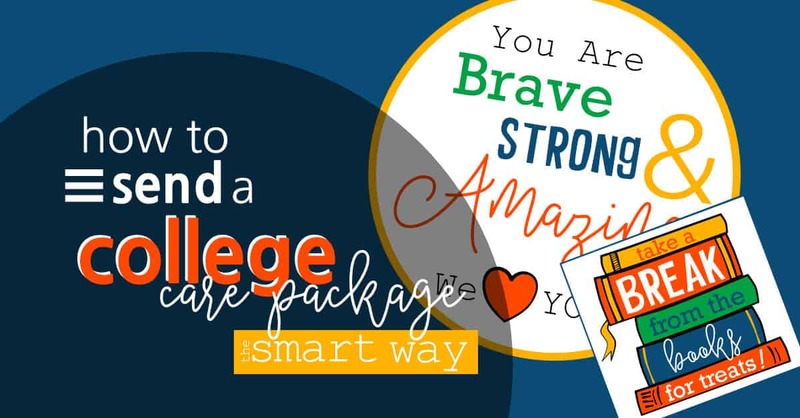 In the following posts, you will find printables and ideas to help you create the most awesome boxes your college student has laid eyes on! Well, maybe they’d prefer to open a box with a new gaming system or computer or … yeah, I don’t know … whatever they like that’s expensive. But seriously, a box from home has got to be a welcome reprieve from all the college stuff! AND, you will look forward to creating those boxes for your youngsters because it helps take the sad away! If you don’t want to sit around and cry over your empty nest, DO SOMETHING! 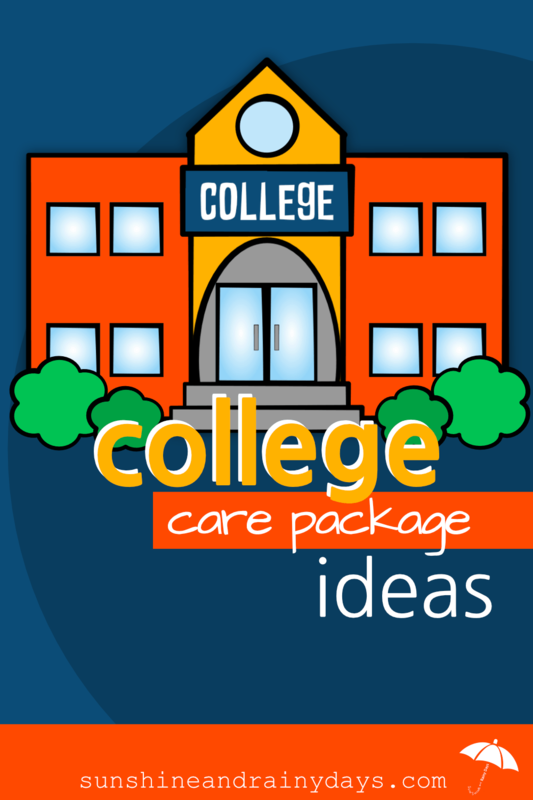 Create an awesome College Care Package. That’ll keep you busy and excited for your student! 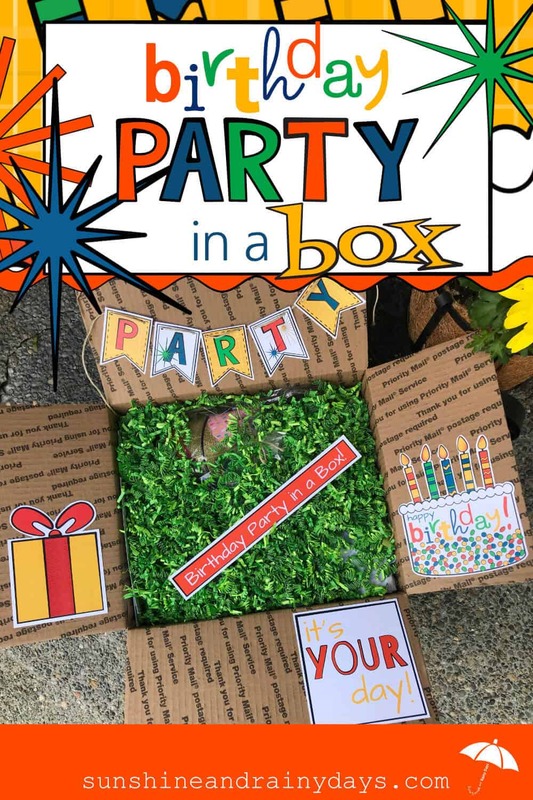 When you can’t be with your college student on their special day, send a Birthday Party In A Box to make their day special! Your college student is settled into dorm life and working hard on papers, speeches, and keeping up with laundry. You have settled into an empty or emptier nest and are ready to send a Fall Box to let your awesome kid know how much you love them! Whether your college student will be home for Thanksgiving or not, they will certainly appreciate a FUN Thanksgiving Care Package to kick off the Holiday Season! We’re ready to share Printables and Ideas for a Thanksgiving Care Package! It’s time to get Holly and Jolly! 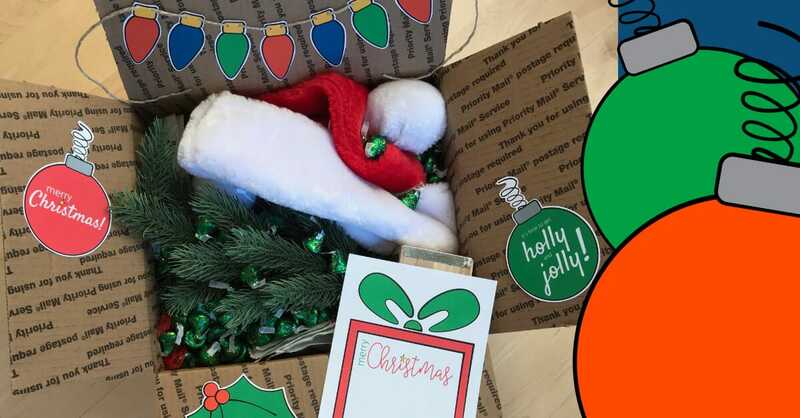 We’ve got ideas and Christmas Printables for your Christmas Care Package for College Students! 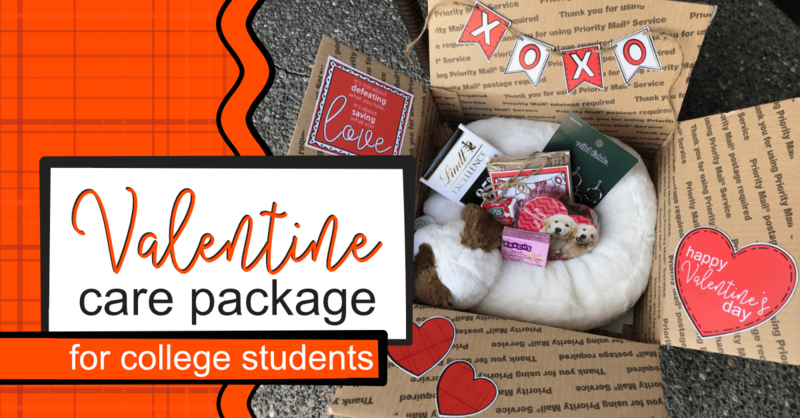 Get your Valentine Care Package For College Students Printables here! Your College Valentine will appreciate the effort you put into making Valentine’s Day special for them! 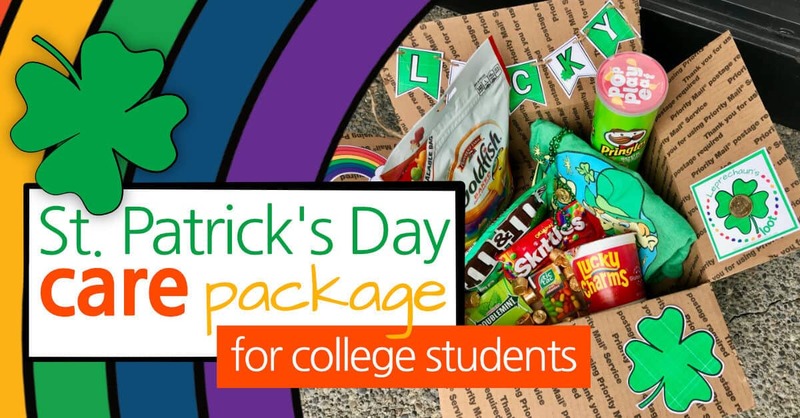 Help your college student celebrate St. Patrick’s Day with a St. Patrick’s Day Care Package! Don’t let your college kid get pinched by a tricky leprechaun! Send them LOTS of GREEN! 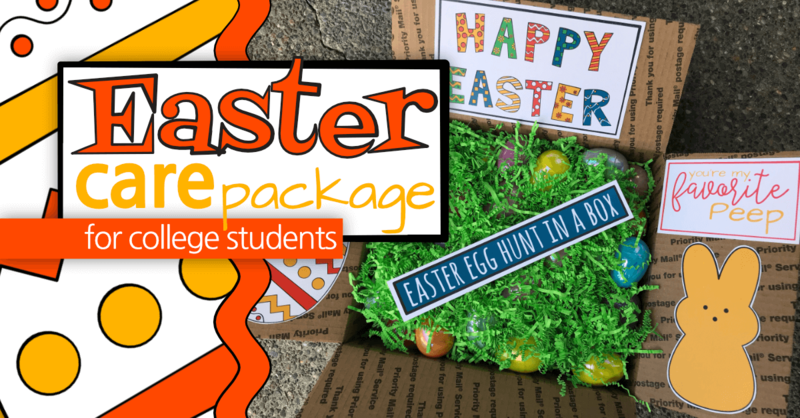 Celebrate Easter with your college student with an Easter Egg Hunt In A Box! They will certainly be HOPPY to receive this most egg-cellent gift! 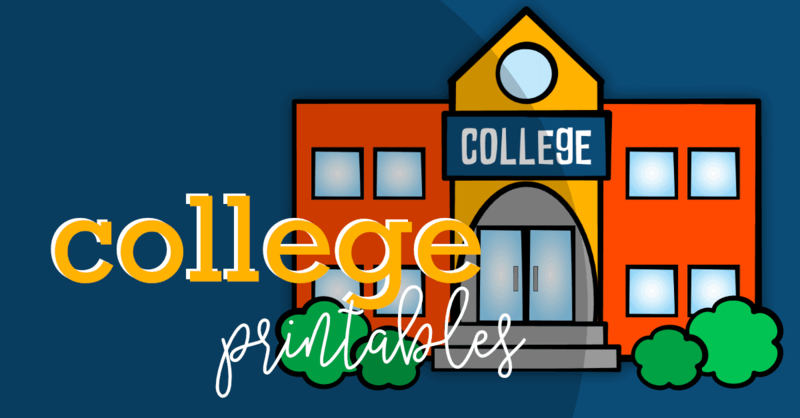 Find MORE College Printables In Our Shop! Next time you’re sad about the emptier nest, occupy your mind with thoughts of the next Care Package you’ll send to your college student. It’s good for you, it’s good for them … it’s a win all the way around! How To Make Your College Transition Easier For Your Mom – I fully understand it isn’t all about me but there are things you can do to make this transition easier! Justine Lorraine – This is a website written by a college student who just so happens to be my daughter! Yay!